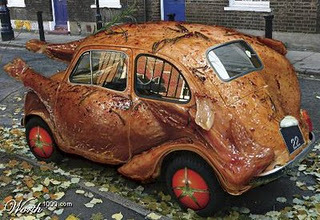 Cars have been made to look like animals, people, and many other things, including food. Of course, it’s not always great, and sometimes the result is more gross than appetizing. When it’s done well, though, you’d want to eat it right off the road! It’s got that thick patty, lettuce, onions, cheese, ketchup, and those buns! Wouldn’t you just love to take a bite out of this one? If King Kong saw this, he’d surely pick it right up. Just open it up, and you’re good to go! We’d love to slice it, peel it, or squeeze it! It’s pretty much fried to perfection. Look at that golden brown skin! Dibs on the wings! Your sweet tooth will make you want to peel the foil right off these giant Kisses! Probably the most iconic of all vehicles shaped like food, the Wienermobile just makes you want to get some mustard and eat an over-sized hotdog! 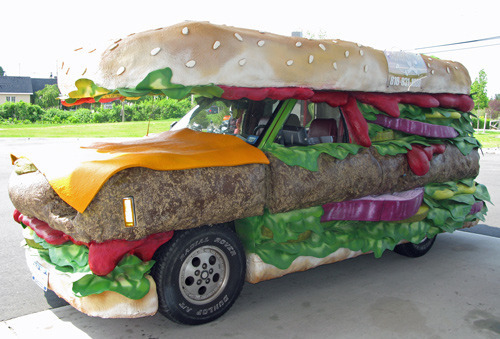 And there you have it, our favorite cars that look like food. Is there any car you’d like to add to the list? Tell us in the comments!